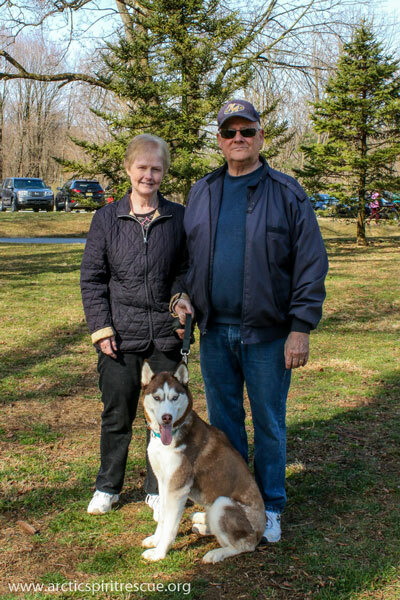 Ember the red & white Siberian Husky Adopted in Southeastern PA! UPDATE: Our beautiful Ember knew exactly what she wanted and was willing to wait for that perfect home. Her wait was worth it! Her new Dad commented that walks around the neighborhood take longer now since everyone stops to admire his Ember. Congratulations to everyone! 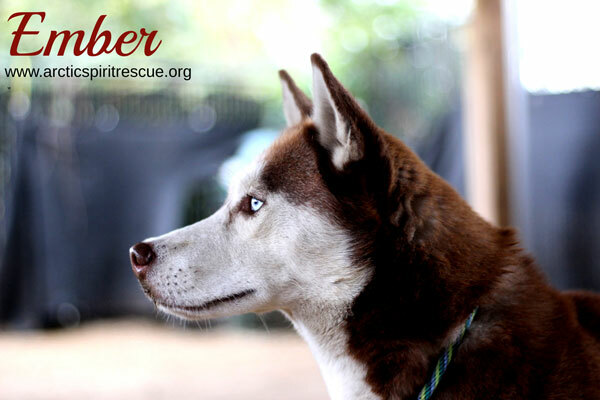 Meet our red and white beauty – Ember, a one year young female Siberian Husky. This spirited girl would be happy in a home without other dogs where she can be the queen. She loves people and the attention that comes her way when they’re around. She’s an experienced, very clever escape artist so she’ll need an escape-proof crate as well as a very secure yard with a Sibe proof fence. She will do best not being left alone in her new home for long periods of time. This stunning girl is full of energy and is ready to settle in with an active adopter who will appreciate her sweet disposition and bright Siberian ways. Previous Siberian Husky experience a plus.